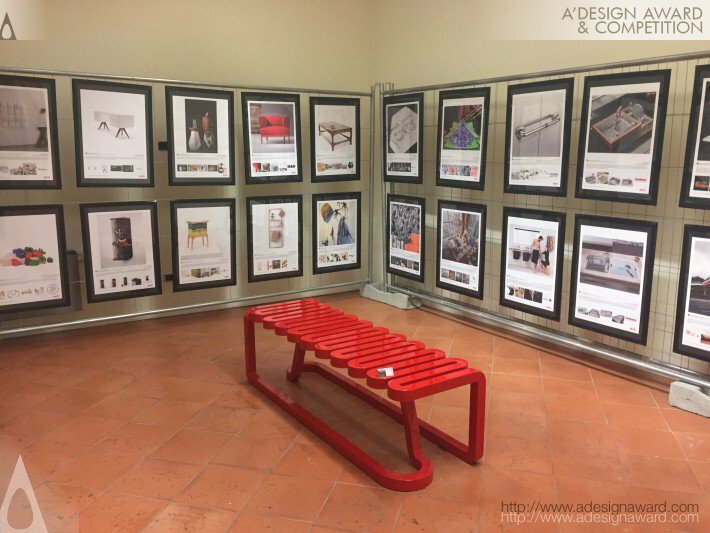 This page provides an overview of the A' Design Award's Winners' Exhibition, laureates have their works exhibited physically free of charge. 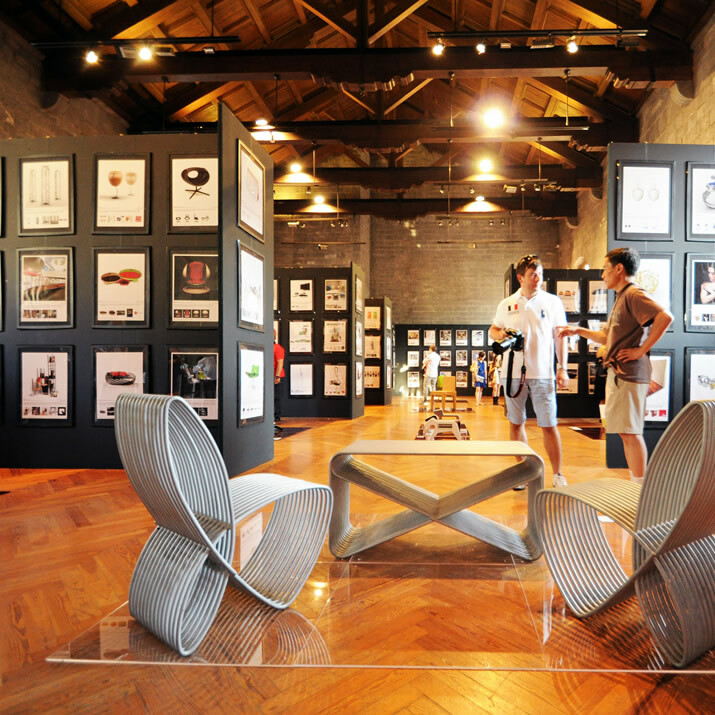 A' Design Award and Competition annually organizes a design exhibition at the MOOD - Museum of Outstanding Design. The exhibition location changes each year. Professional edition winners of A' Design Award & Competition are provided an opportunity to exhibit their physical works for free while the digital edition participants are usually provided a shared video wall / screen that showcases their work, in both cases there are no fees for taking part in the exhibition. Remember to join and nominate your design before the deadline to take part in our award winning designs exhibition. 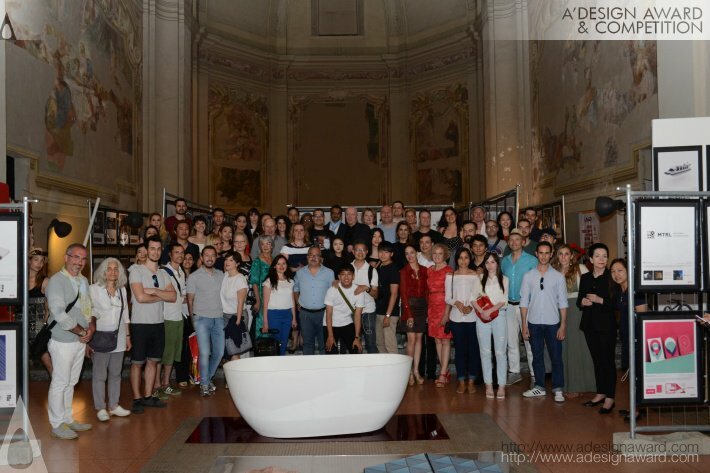 We organize the main exhibition in Italy and we try to take this exhibition to many countries each year. 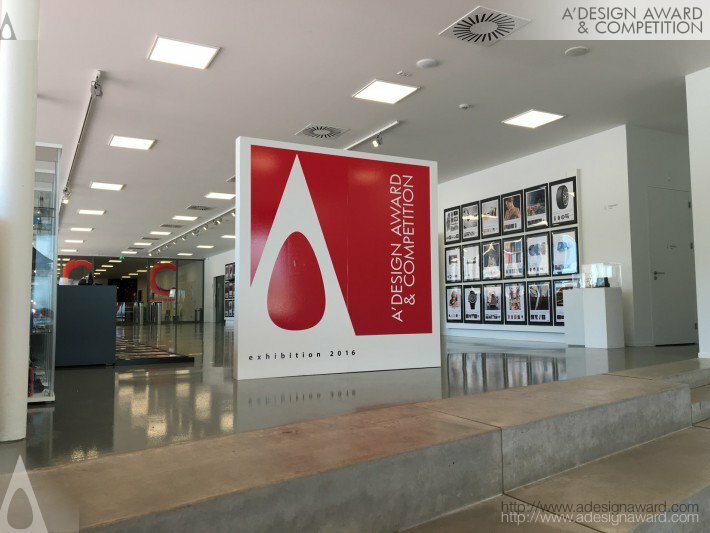 For each winning entry, A' Design Award & Competition prints an A2+ size poster on behalf of the winners without any charges, for digital edition winners displays are provided. These posters are later framed and hanged to the walls of the exhibition space. 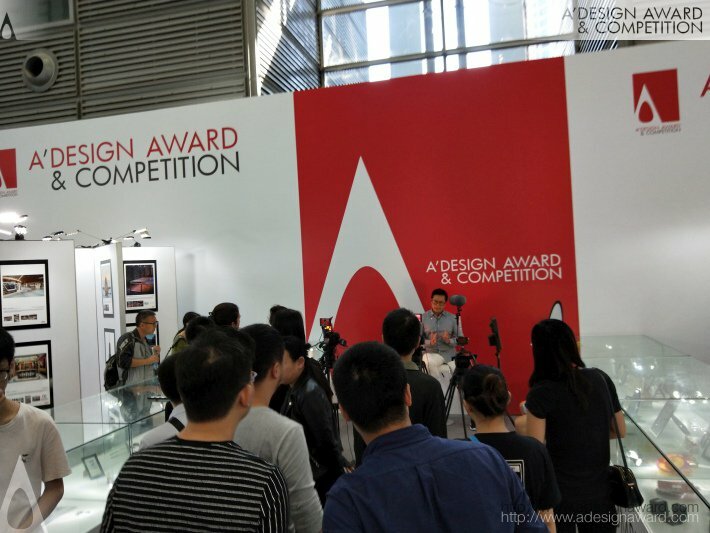 Furthermore, winners are given opportunity to bring products and mock-ups to the exhibition, for this purpose A' Design Award & Competition provides stands and additional space, again free of charge for all professional edition winners. 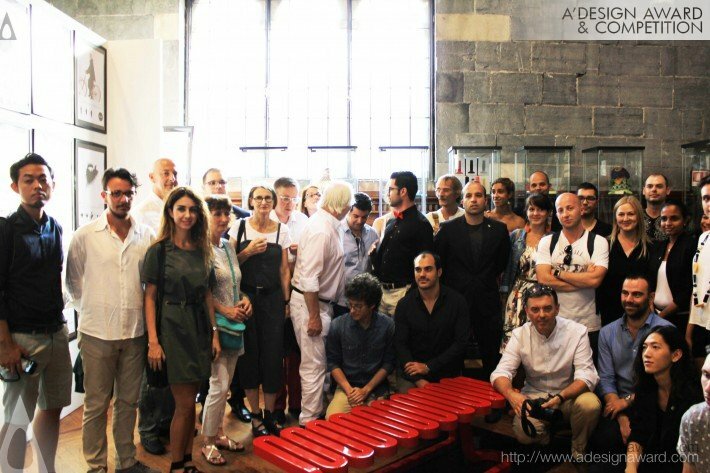 Furthermore, each participant gets a special certificate for each of the design exhibitions organized in an award period. 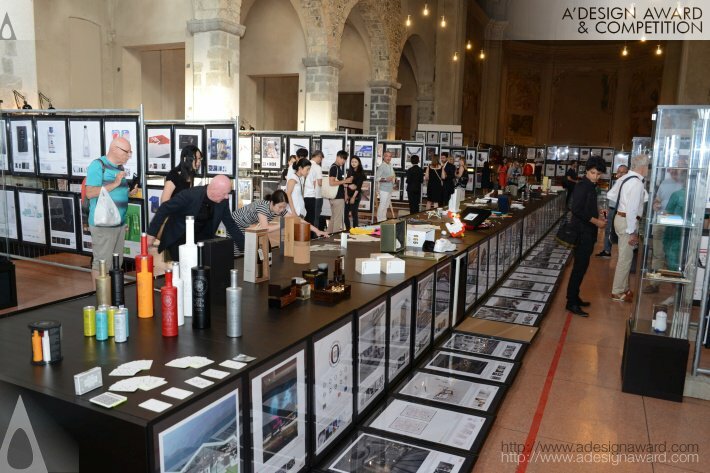 The A' Design Award & Competitions' Winner Design Exhibition is open to public. 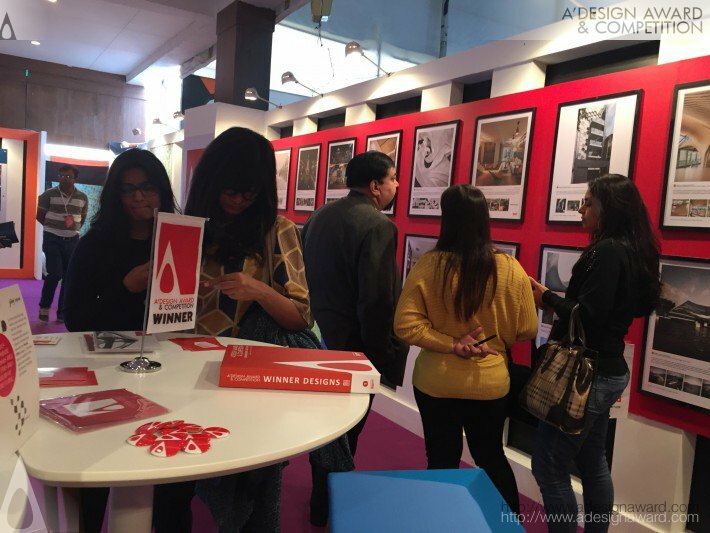 The award winning designs' exhibition attracts many design oriented visitors, and serves to disseminate the award winning works further. 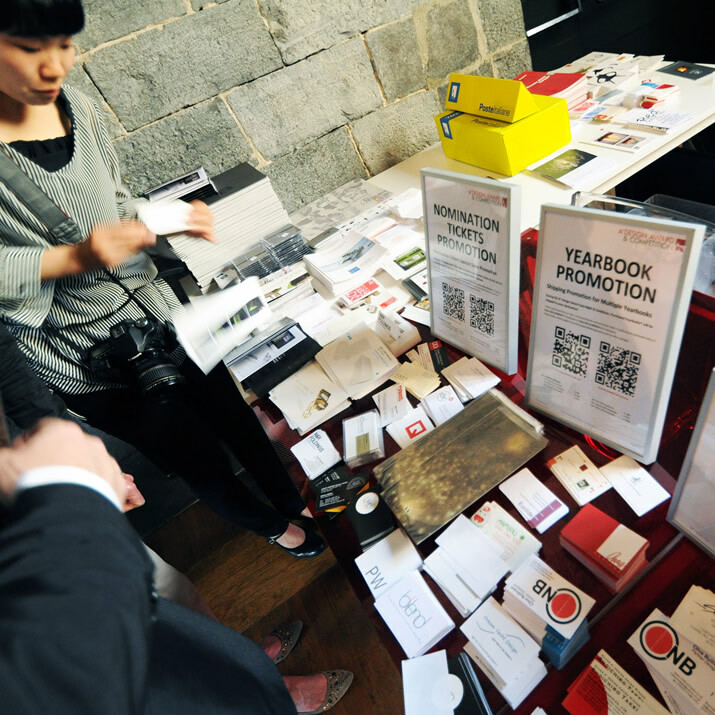 During the Exhibition, visitors are also given opportunity to buy A' Design Award yearbooks. 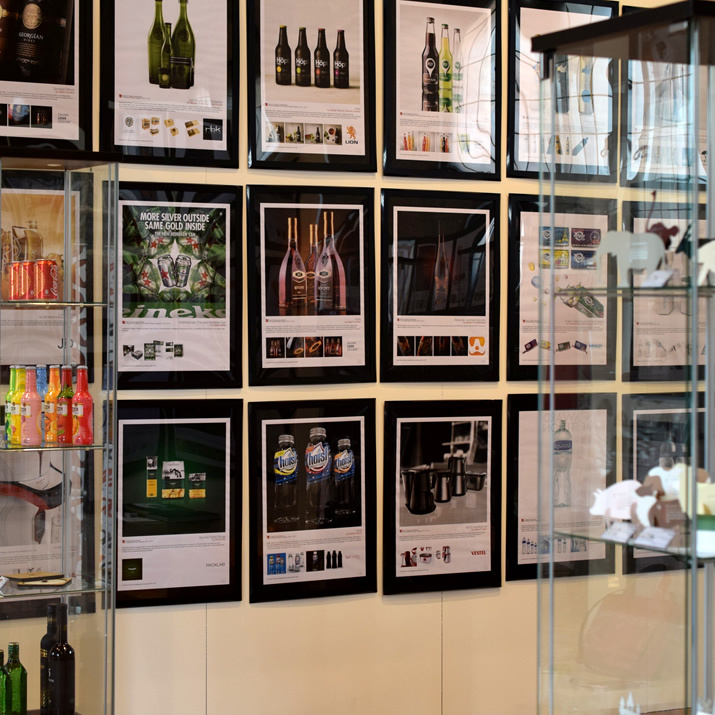 Award winners use the exhibition as a part of their public communication. 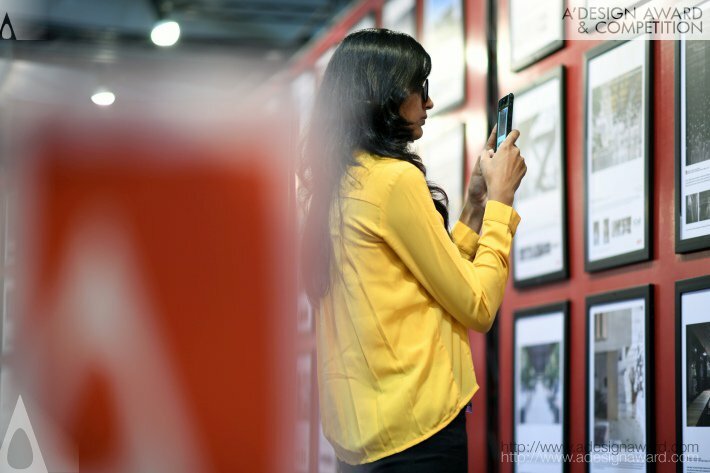 Photos taken during the exhibition are further shared in public channels and are sent to designer media. Participation to exhibition is managed from the control panel under the post-competition tab. 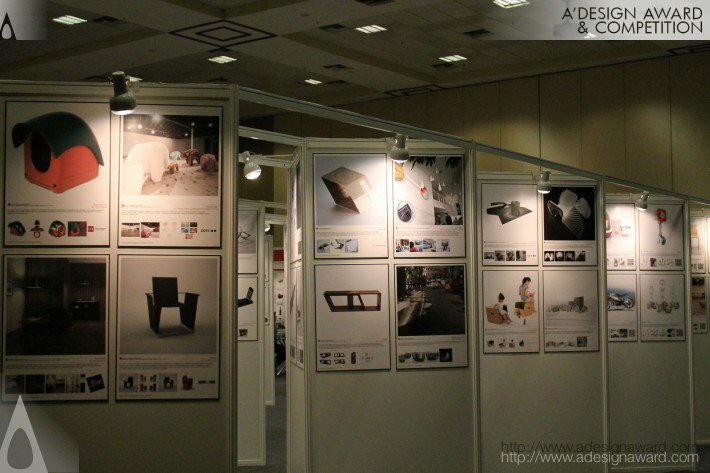 Award winners are required to confirm their participation status before the exhibition in order to allocate a space for products or mockups. Do you want to see some of the exhibited works? Check out design award winners here. Important: In case, the space allocation is not enough to display all winners, we will try to rotate the exhibition images and posters or alternatively display only the Platinum and Gold projects, the decision is left to the exhibition curator, in most cases, if such limitation happens, we provide a digital display to ensure all winners are exhibited. For upcoming exhibition details and functionality for winners to send or retrieve items to the exhibition, please login and access exhibition page from your control panel. 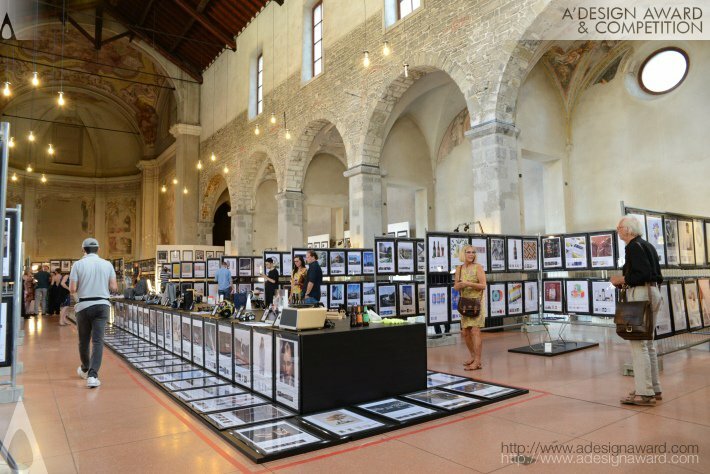 A' Winners' Exhibition at "MOOD" Ex Chiesa di San Francesco, Como, Italy. Dates: 10 June - 31 July 2019. 751 m2 Space will provided for winners to exhibit their works. Winners who cannot join by physical works will be provided free poster printing and preparation service, we will also provide digital displays therefore every designers' works get exhibited. Designers who attend the opening ceremony will have opportunity to get video interviews and could have opportunity to reserve their spot in Ars Futura Cultura meetings. We would most likely have more exhibitions in some other countries this year as we do each year. Stay tuned! and check this page once in a while as we always put the news here and also check the gallery pages. 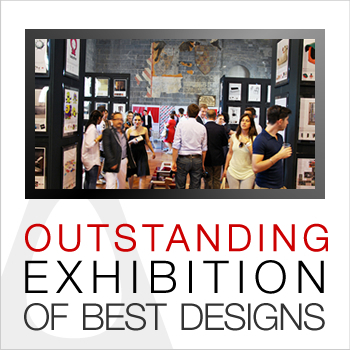 Award winning designs will be exhibited at MOOD - Musuem of Outstanding Design which changes location each year. 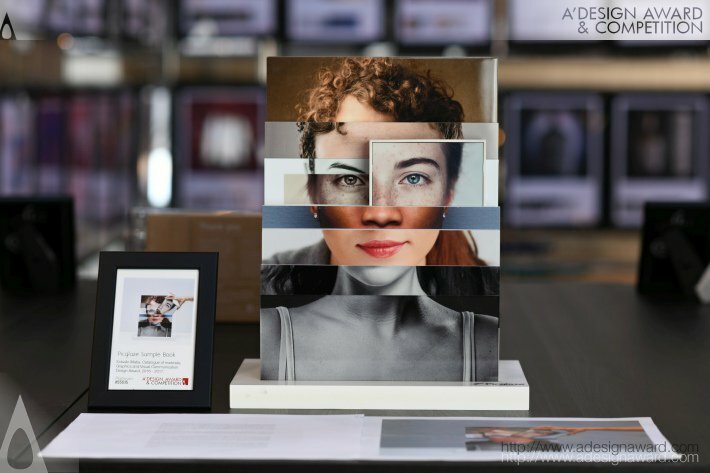 Learn more about the A' Design Award Winner Designs Exhibition. Above the expected exhibition date and venue is shown but please wait for our official email and invitation before sending your work. 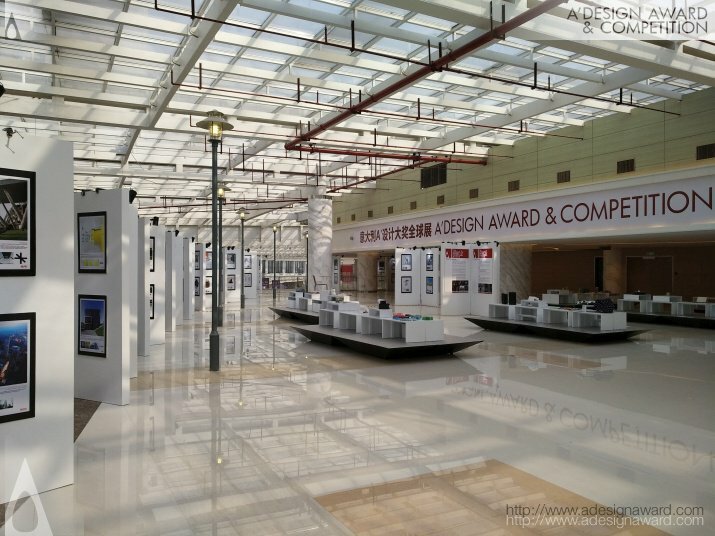 A' Winners' Exhibition at "Heibei Design Center" Heibei, China. 89 m2 Space was provided. 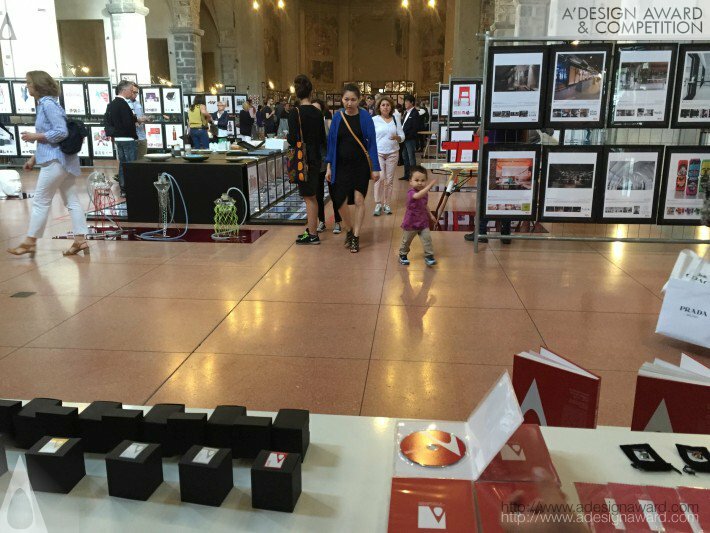 A' Design Award carried small items and design objects directly to the exhibition while for larger pieces, the participants had an opportunity to ship them directly to the exhibition space. Dates: 10 June - 7 July 2018. 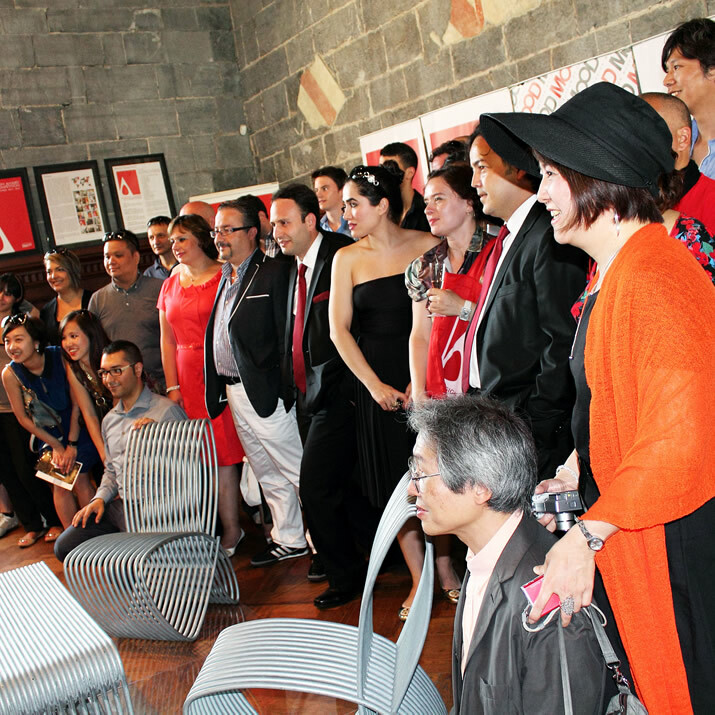 751 m2 Space were provided for winners to exhibit their works. 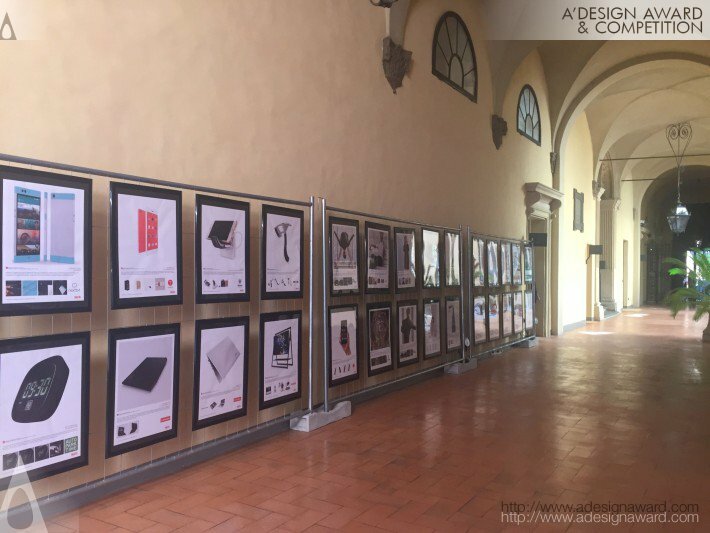 Winners who cannot join by physical works were provided free poster printing and preparation service, we also provided digital displays therefore every designers' works get exhibited. We also had big and small works in this exhibition and the exhibition included works from the Permanent Collection of Mood - Museum of Outstanding Design. 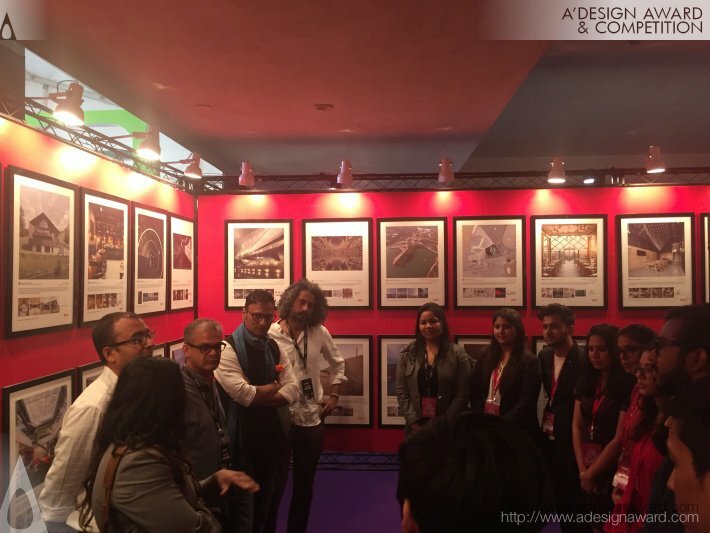 A' Winners' Exhibition at "FOAID - Festival of Architecture and Interior Designing Conference", India. Dates: 21-22 September 2018 (New Delhi). 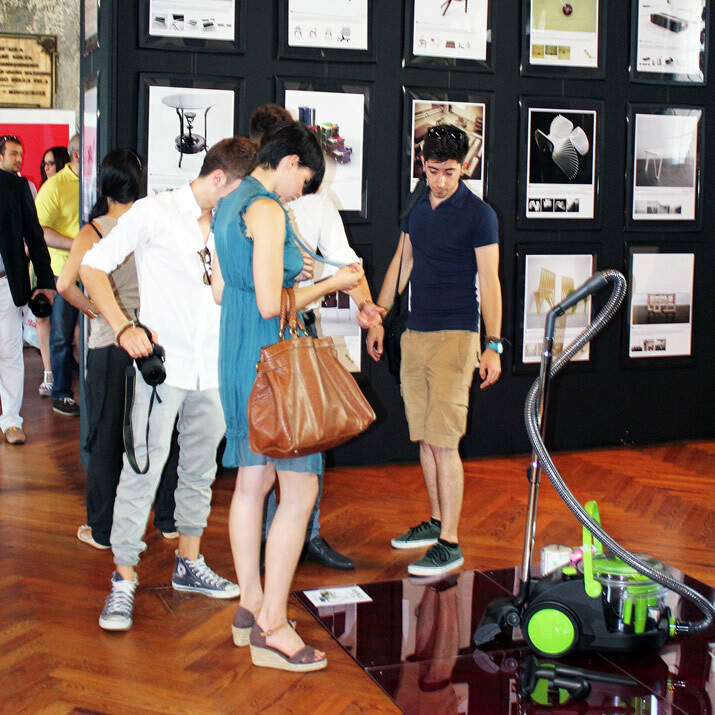 96 m2 Space were provided for winners to exhibit their works. 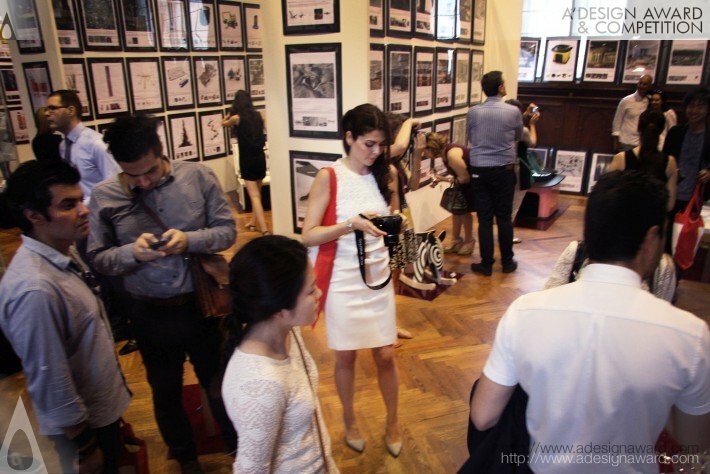 This exhibition focused more on architecture and interior design but we exhibited all works through the digital display. 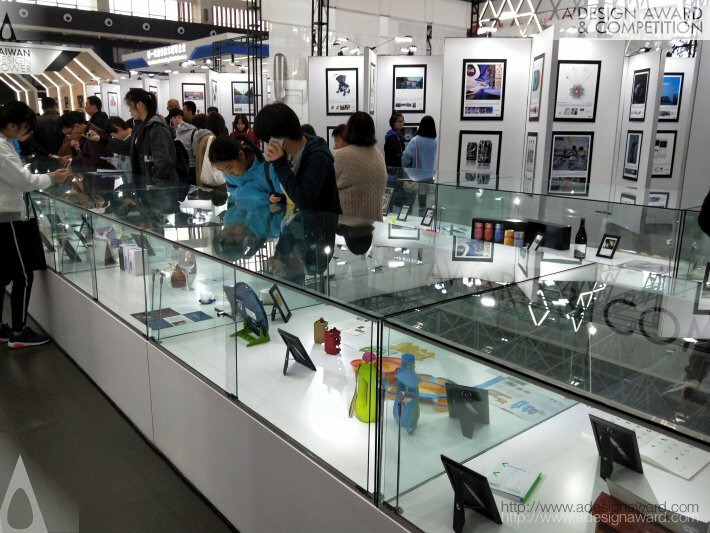 The exhibition was quite successful and also attracted media and television interest. 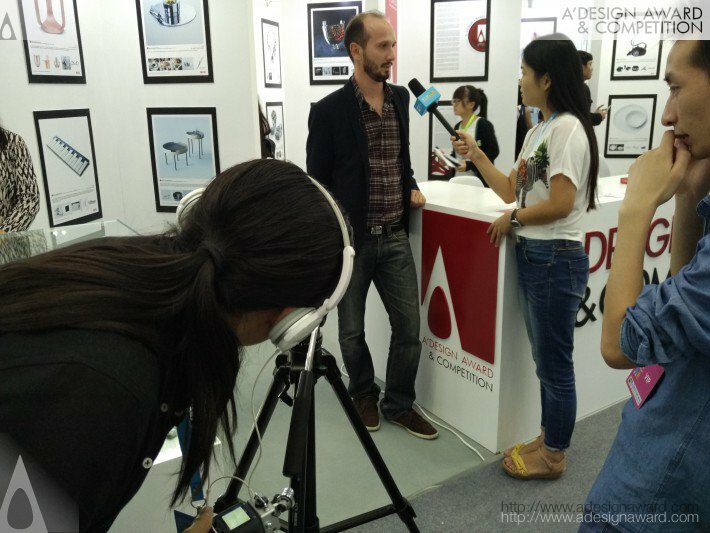 A' Winners' Exhibition at "Shenzhen International Industrial Design Fair" Shenzhen, China. 108 m2 Space was provided. 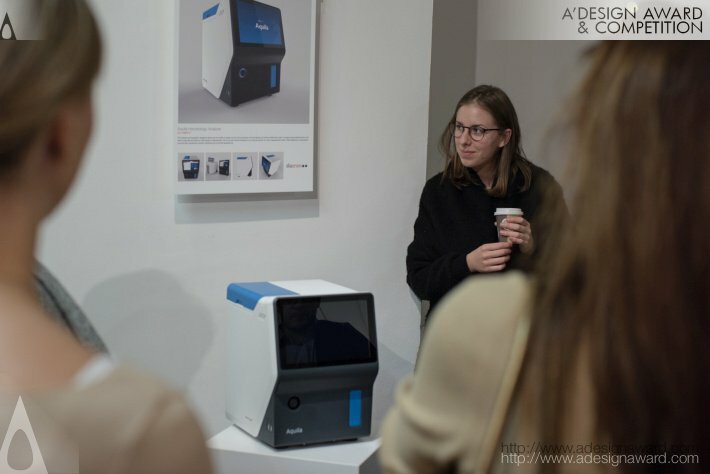 A' Design Award carried small items and design objects directly to the exhibition while for larger pieces, the participants will had an opportunity to ship them directly to the exhibition space. Dates: 07-08 December 2018 (Mumbai). 96 m2 Space was provided, this was a very specia event that focused mainly architecture but we were able to showcase design work to this creative audience. We carried mainly small items and posters were prepared. Digital screen was included to exhibit works that we could not fit the walls. 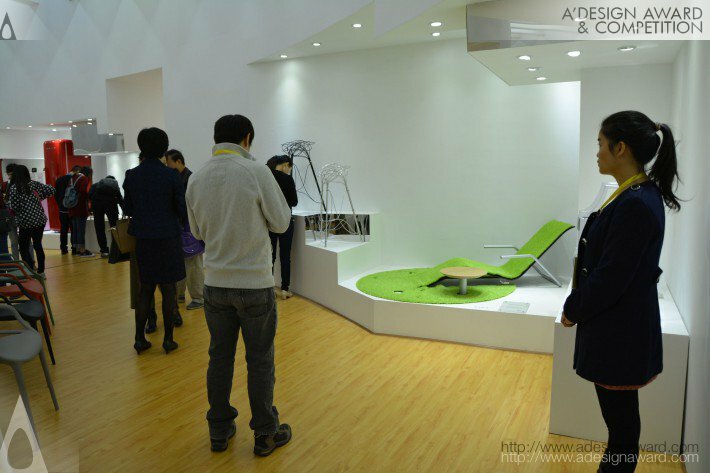 A' Winners' Exhibition at "Utopa International Design Exhibition" Zhuzhou, China. Dates: 26 December 2017 - 20 March 2018. 3500 m2 Space was provided. 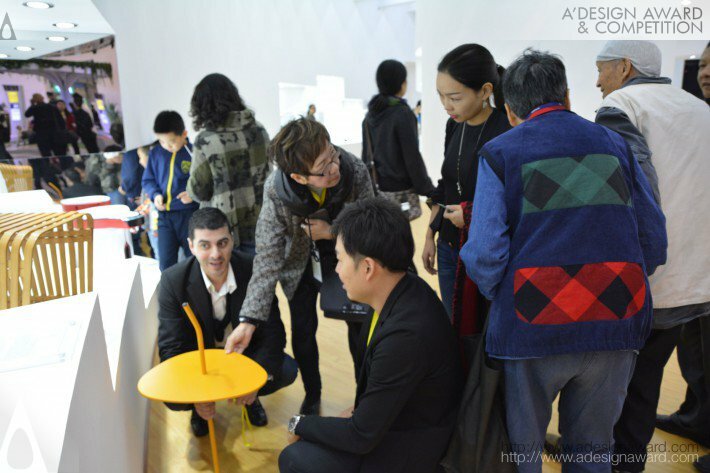 A' Design Award carried small items and design objects directly to the exhibition while for larger pieces, the participants will had an opportunity to ship them directly to the exhibition space. This was a truly great exhibition, we got all winner works exhibited and winners also had opportunity to sell their works. 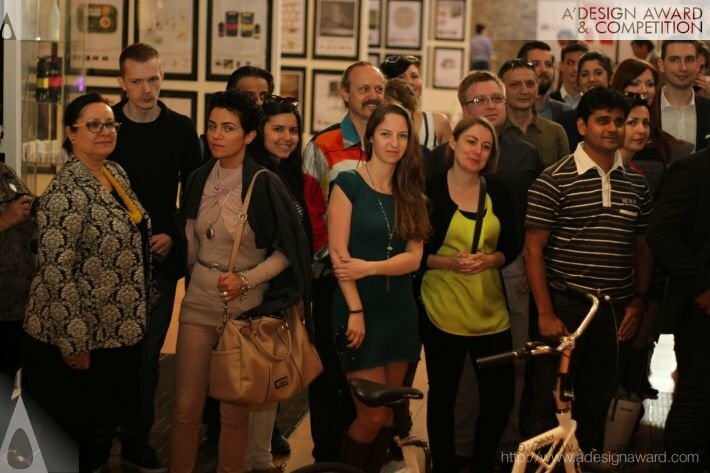 A' Design Award 40 x 40 Exhibition Budapest, Hungary. 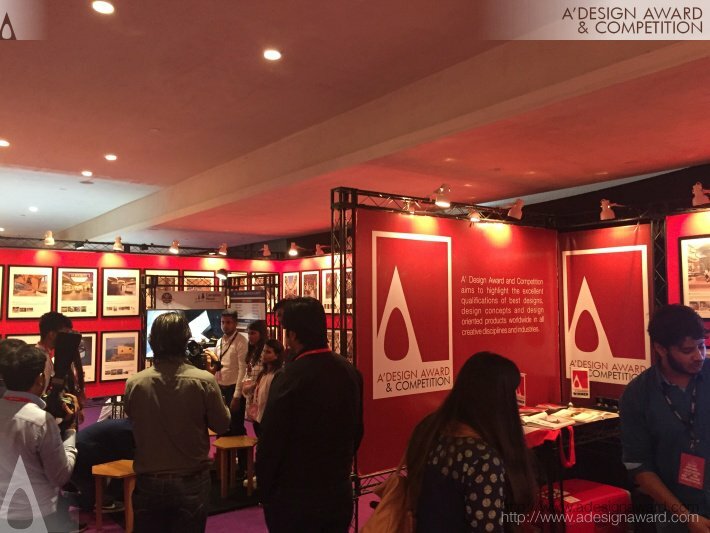 72 m2 Space were provided for winners to exhibit their works. We had to provide a digital display since we were not able to fit all the works. 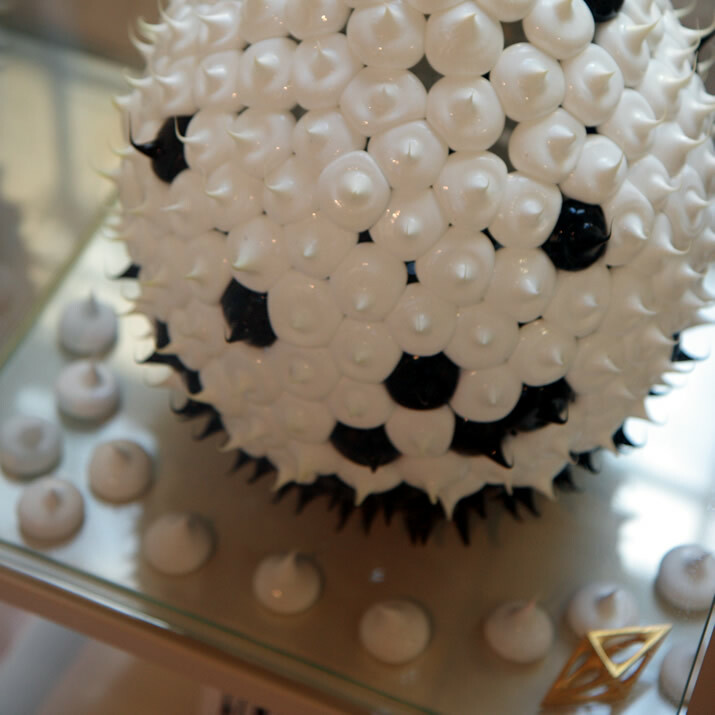 The 40 x 40 Exhibition featured 40 works from 40 designers from 40 countries. 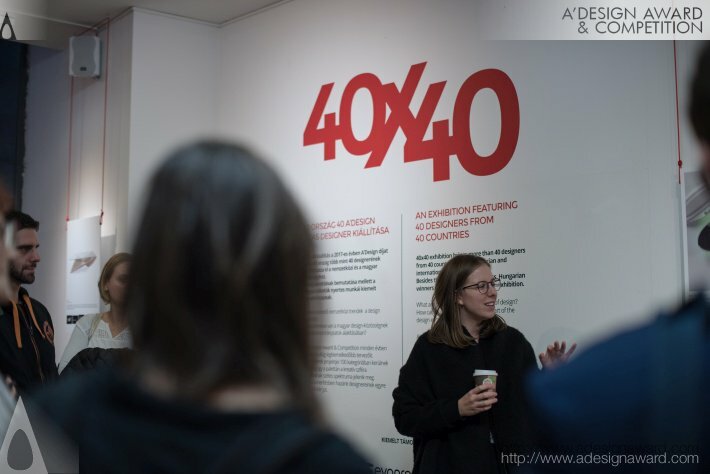 We are hoping to organize more 40 x 40 Exhibitions worldwide. Dates: 22-23 September 2017 (Mumbai). A' Winners' Exhibition at Cube Design Museum, Museumplein, Kerkrade, Netherlands. Dates: July 2 - August 4 2016. 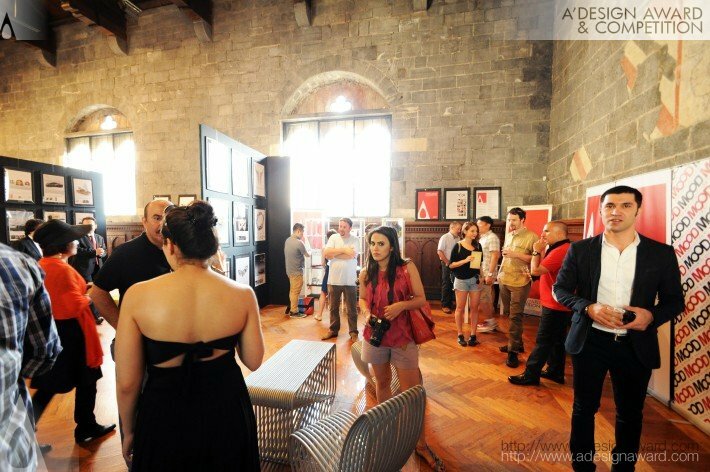 250 m2 Space was provided for winners to exhibit their works. 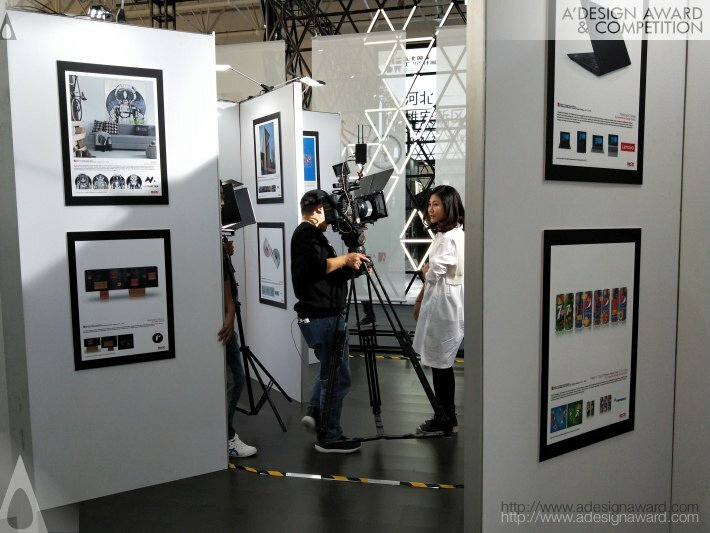 Winners who cannot join by physical works were provided free poster printing and preparation service, therefore every designers' works get exhibited. 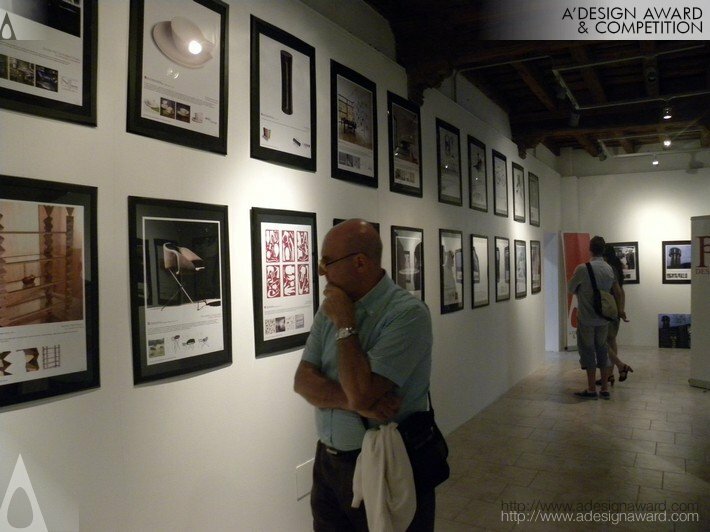 For this exhibition, A' Design Award covered the costs of transportation of non-bulky works (as well as some bulky works) directly to the exhibition space; we moved the exhibition items that were already sent to MOOD Italy to Cube Design Museum in Netherlands on behalf of participants. 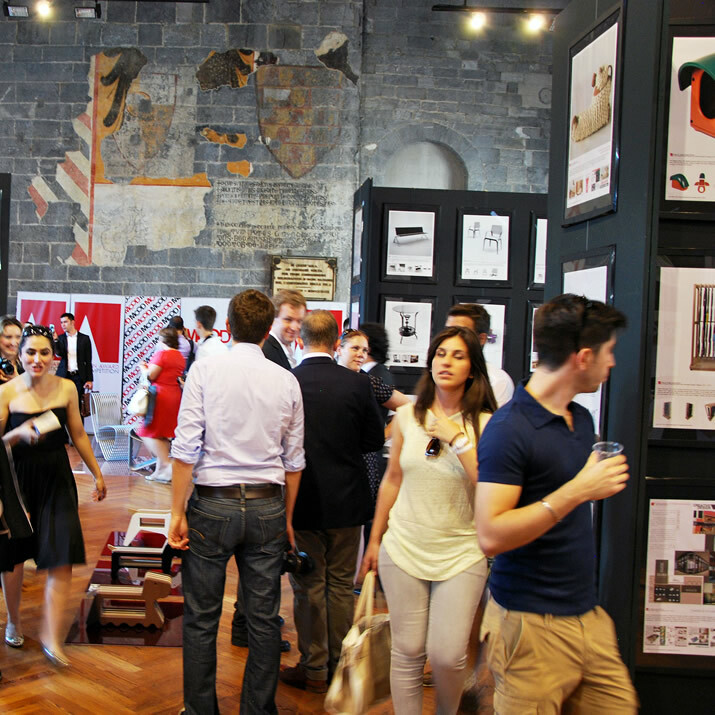 751 m2 Space were provided for winners to exhibit their works. 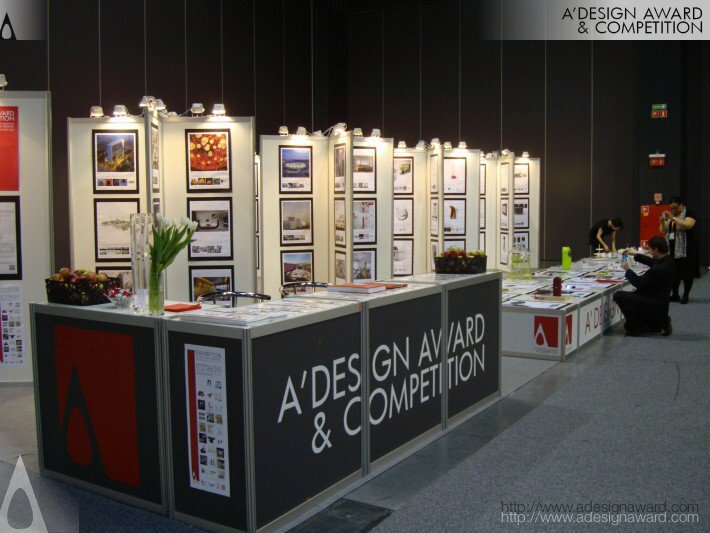 Winners who cannot join by physical works were provided free poster printing and preparation service, therefore every designers' works get exhibited. We also had big and small works in this exhibition and the exhibition included works from the Permanent Collection of Mood - Museum of Outstanding Design. 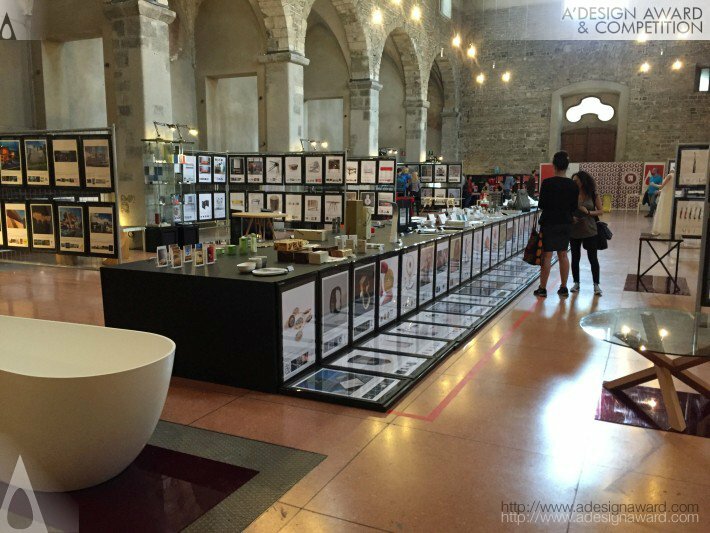 A' Winners' Exhibition at Bologna Design Week, Italy. Dates: September 28 - October 1 2016. 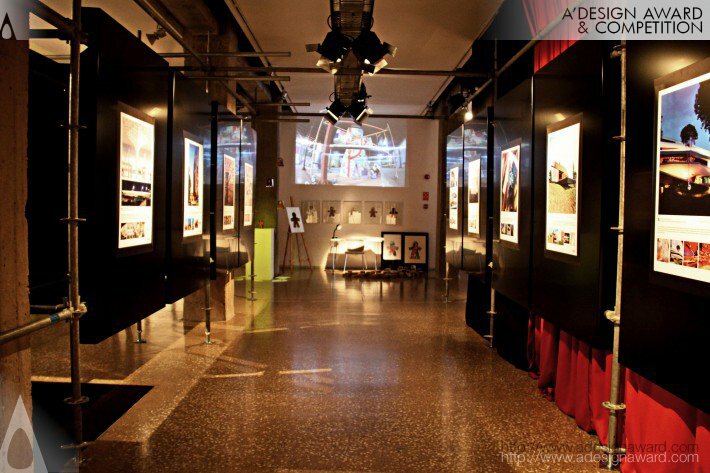 250m2 space was provided for winners to exhibit their works. 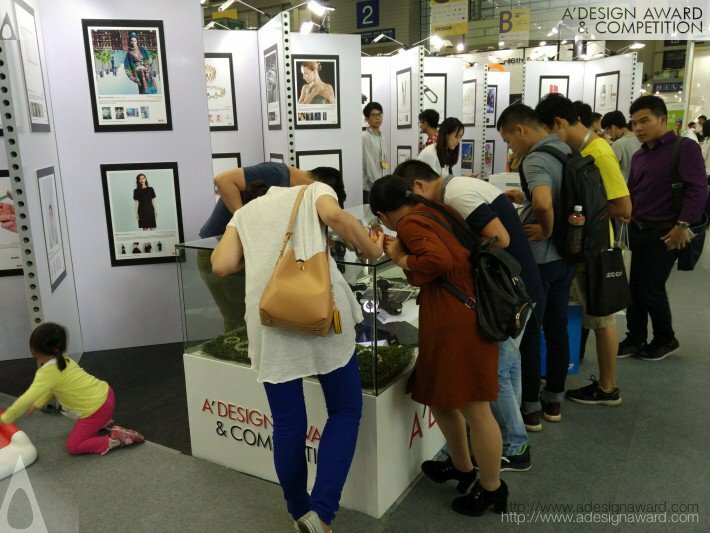 Winners who were not able to join by physical works were provided free poster printing and preparation service, therefore every designers' works get exhibited. 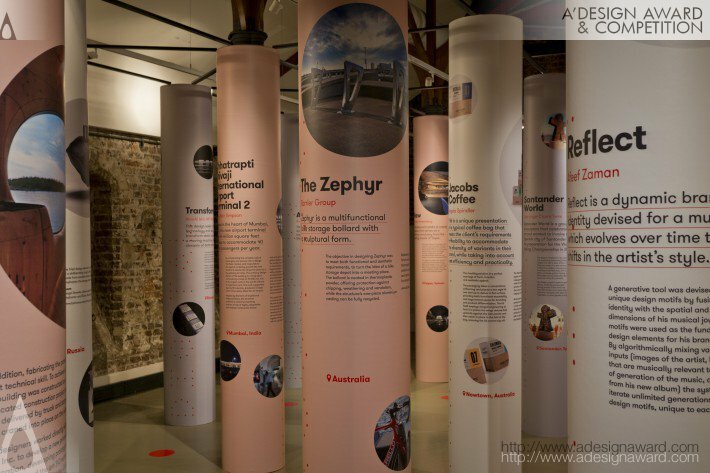 For this exhibition, A' Design Award covered the costs of transportation of non-bulky works directly to the exhibition space as well as cost of transportation of heavy items were also covered; we move the items from the Cube Design Museum in Netherlands to Bologna Design Week Directly. 108 m2 Space was provided. 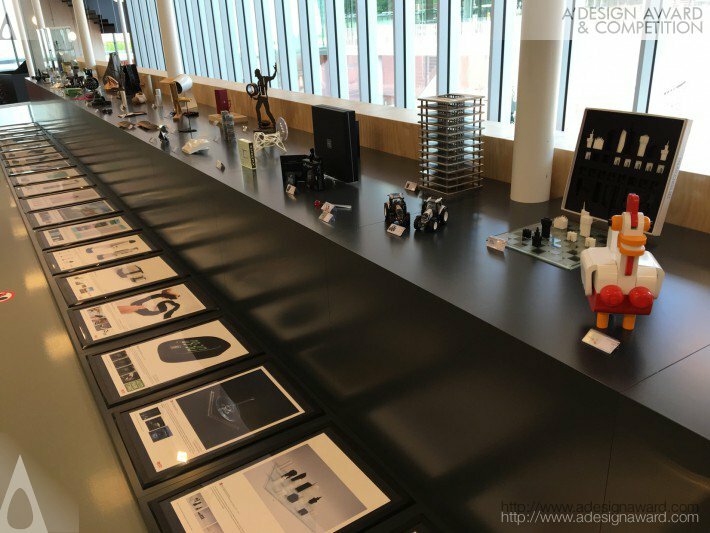 A' Design Award carried small items and design objects directly to the exhibition while for larger pieces, the participants will had an opportunity to ship them directly to the exhibition space. 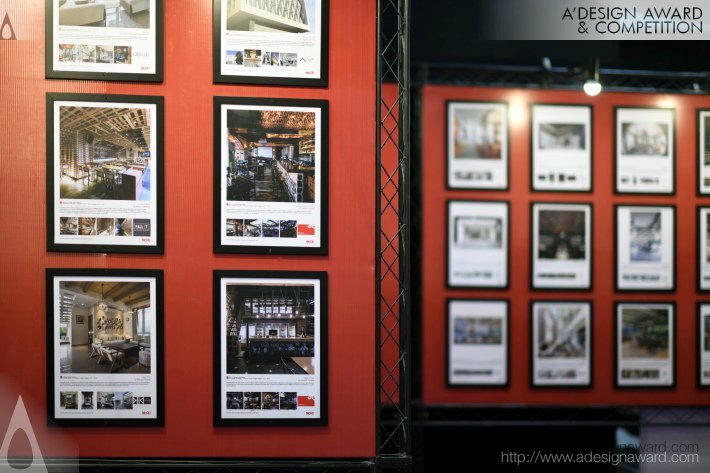 We provided a digital wall to ensure all entries get exhibited. Dates: 23-24 September 2016 (Mumbai) and 2-3 December 2016 (New Delhi). 144 m2 Space was provided, this was a very specia event that focused mainly architecture but we were able to showcase design work to this creative audience. We carried mainly small items and posters were prepared. Digital screen was included to exhibit works that we could not fit the walls. 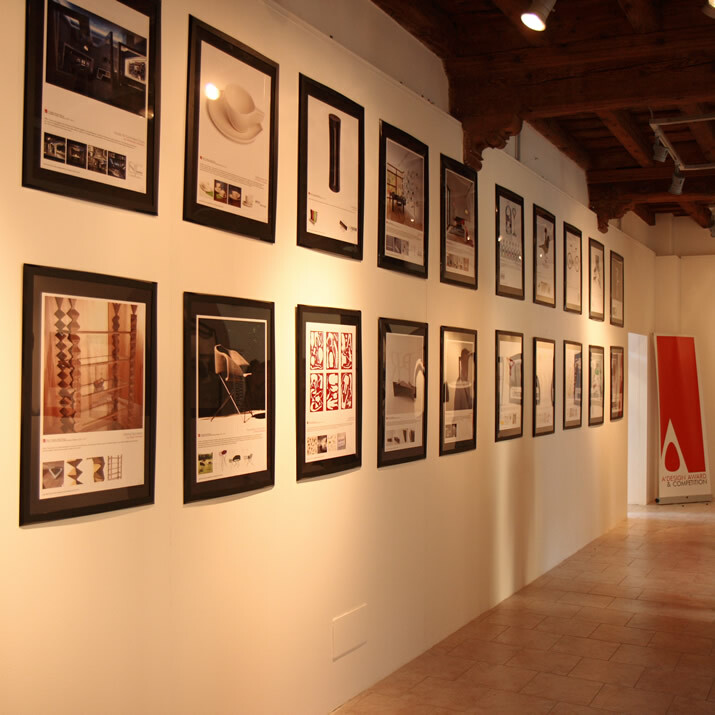 A' Winners' Exhibition at Espacio Ricardo Lorenzo, Gallery of the College of Architects of Cantabria, Calle De Aguayos num. 5 of Santander, Spain. Dates: April 7 - May 12 2016. 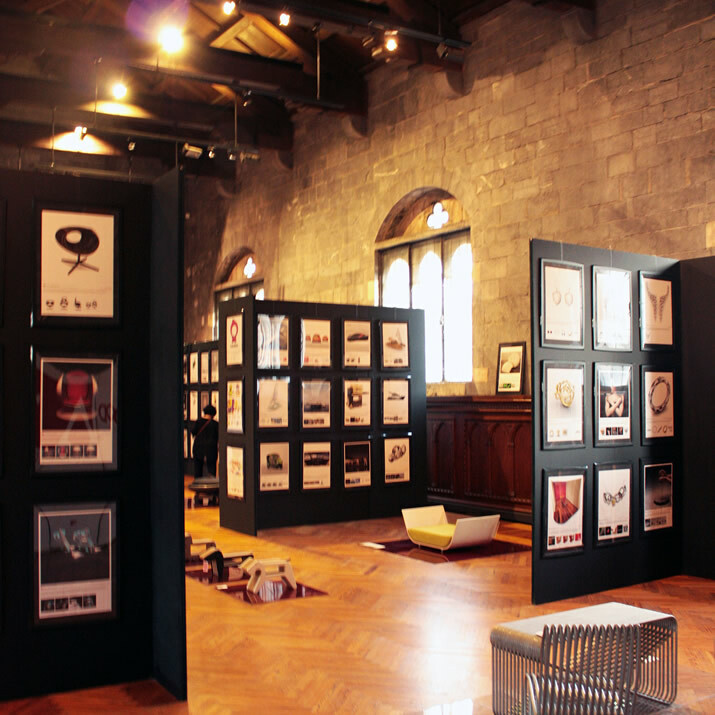 300 m2 Space was provided for winners to exhibit their works. 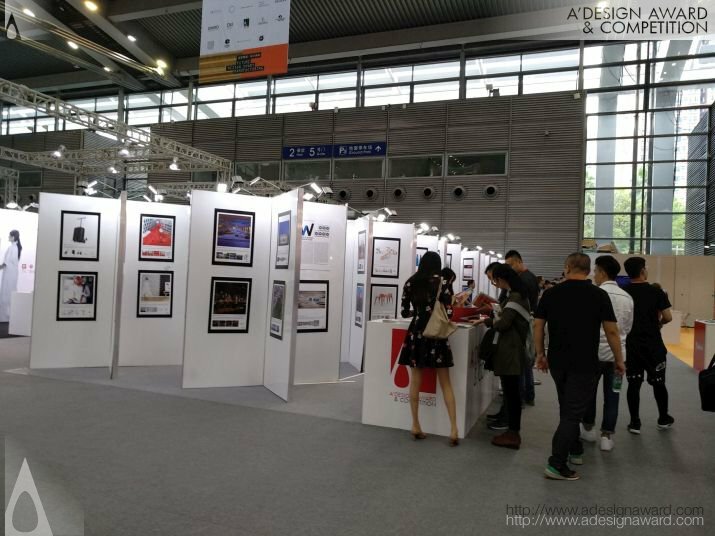 Winners who were not able to join by physical works were provided free poster printing and preparation service, therefore every designers' works get exhibited. This exhibition will also include several conferences, by professionals including but not limited to Juan Carlos Baumgartner (Architect/ México), Francisco Vázquez, (Architect/Spain), Marisa Coppiano (Architect/Italy), Manu Fernández (Designer/Spain), Manolo Saenz Messia (Artist/Spain). 144 m2 Space was provided for winners to exhibit their works. 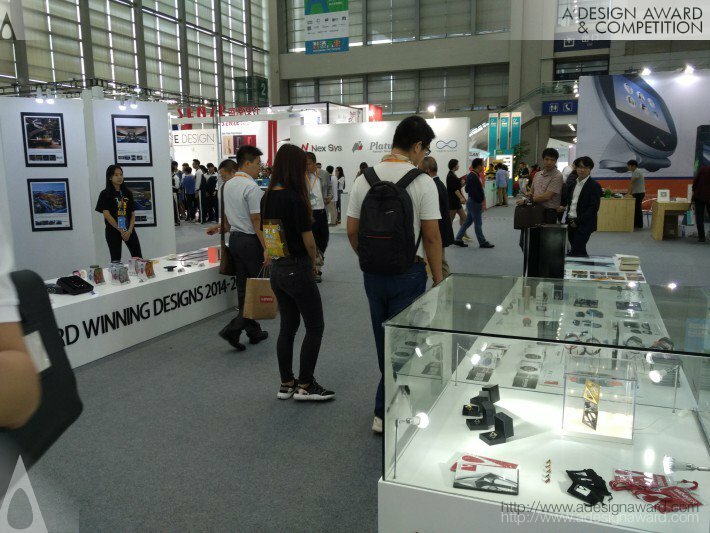 Winners who could not join by physical works were provided free poster printing and preparation service, therefore every designers' works get exhibited. 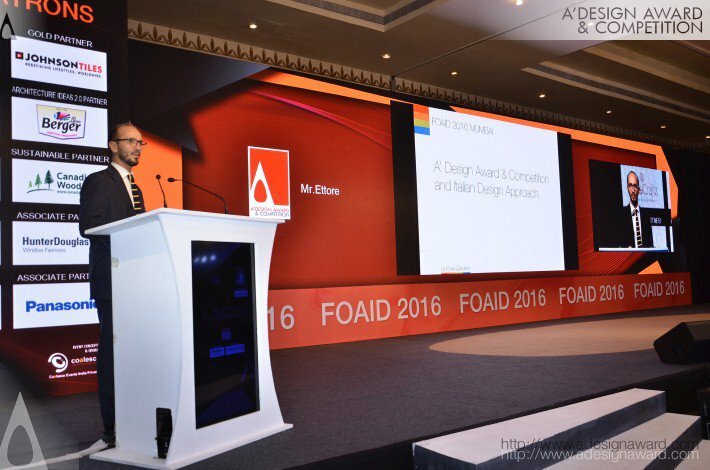 A' Design Award also organized a conference and send several team members to present the winners. 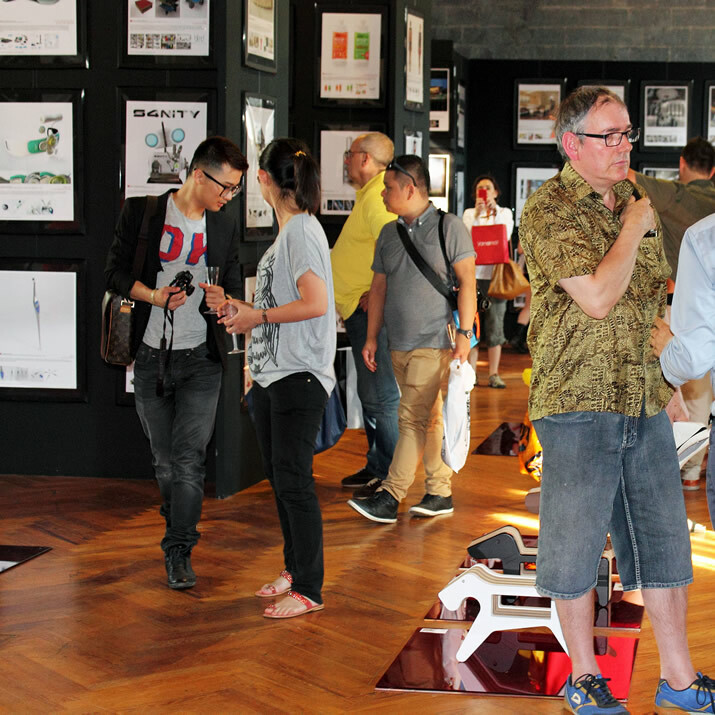 See photos from the design award exhibition here. 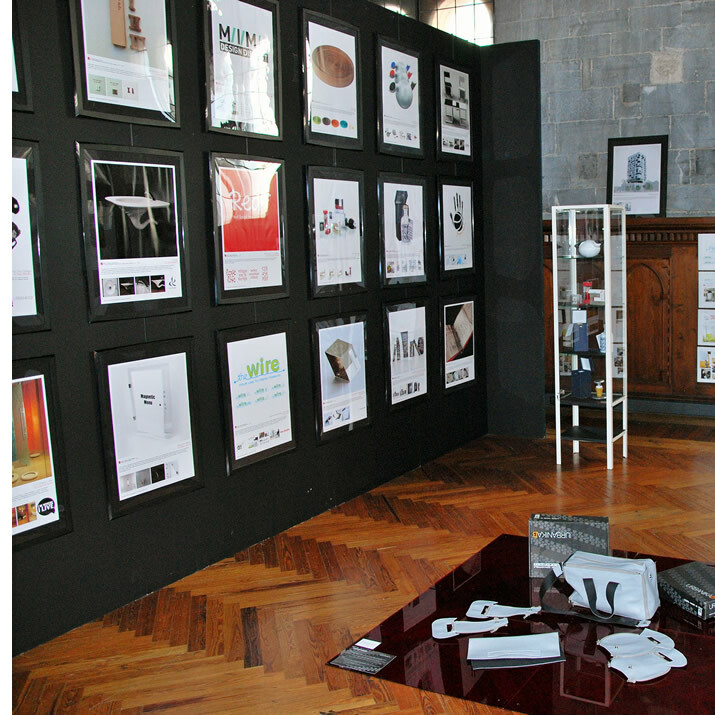 A' Platinum Winners' Exhibition at "Prime Design Hub Exhibition" Dublin Castle, Dublin, Ireland. 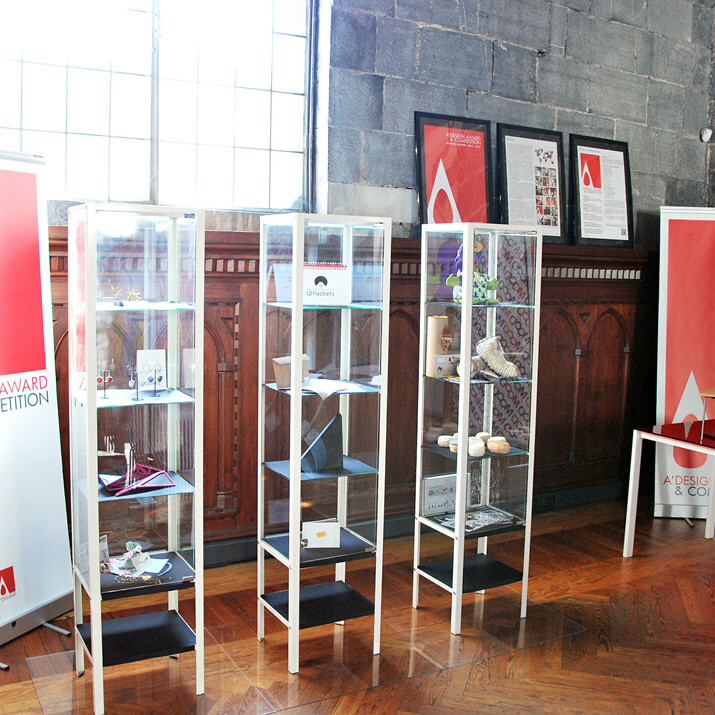 Platinum A' Design Award winner works were exhibited at the prestigious Dublin Castle. 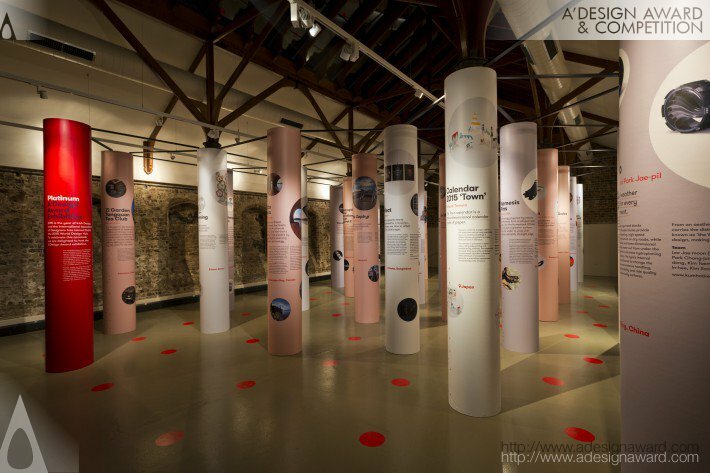 The exhibition was curated by the Irish Design authority. 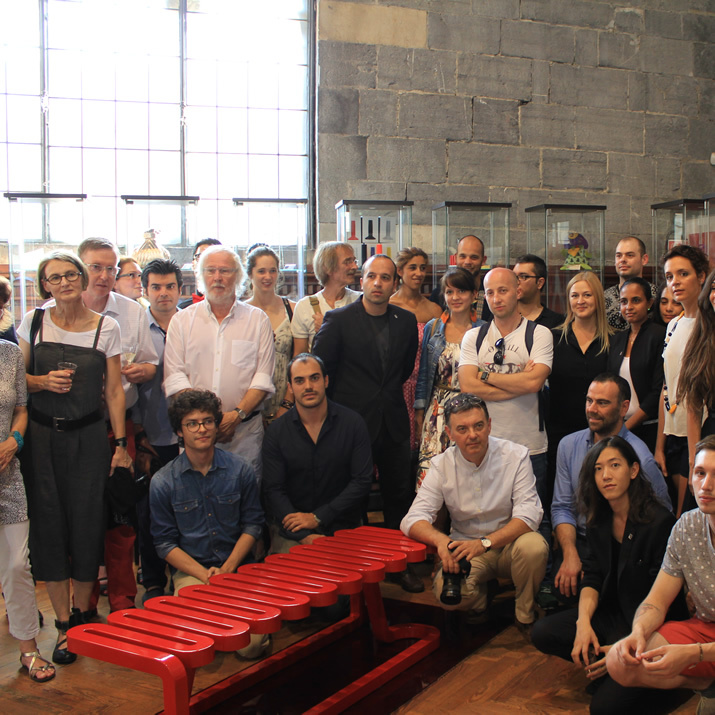 The exhibition followed a symposium titled Making Design Matter, which was organized one day before on September 30 at Chester Beatty Library 11.30 am to 5 pm. 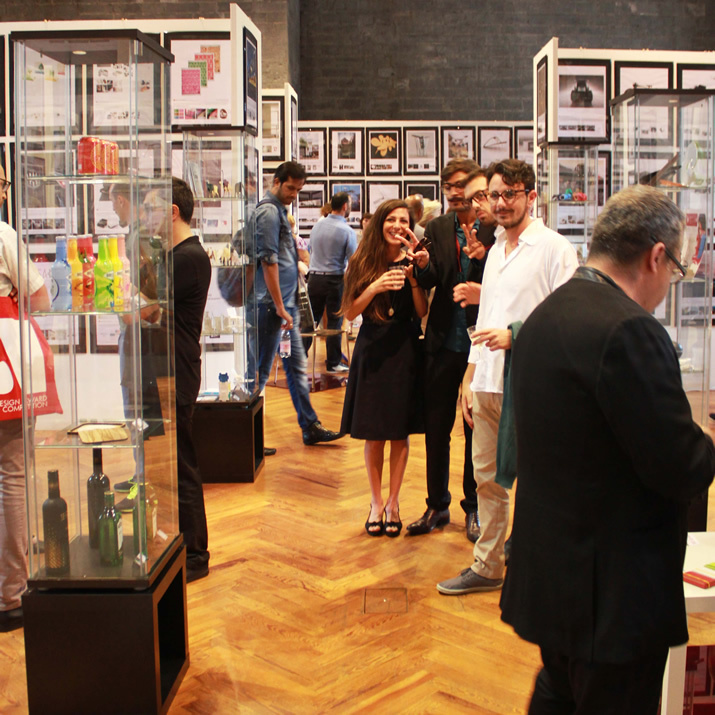 See photos from the design award exhibition here. A' Brazilian Winners Exhibition by Coletivo Brasil Design at San Paulo, Brazil. 250 m2 Space was provided and award winning works were exhibited together with a welcome cocktail by Coletivo Brasil Design at San Paulo, Brazil. Winners who couldn't send their works were provided free poster printing and preparation service. View photos from this exhibition here. 751 m2 Space will be provided for winners to exhibit their works. 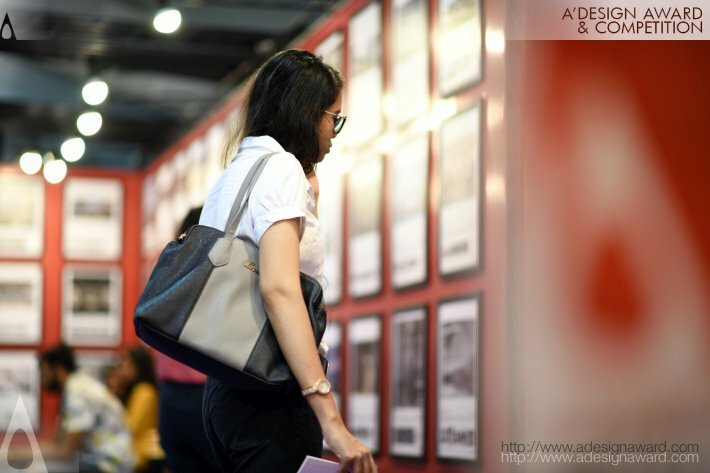 Winners who cannot join by physical works will be provided free poster printing and preparation service, therefore every designers' works get exhibited. 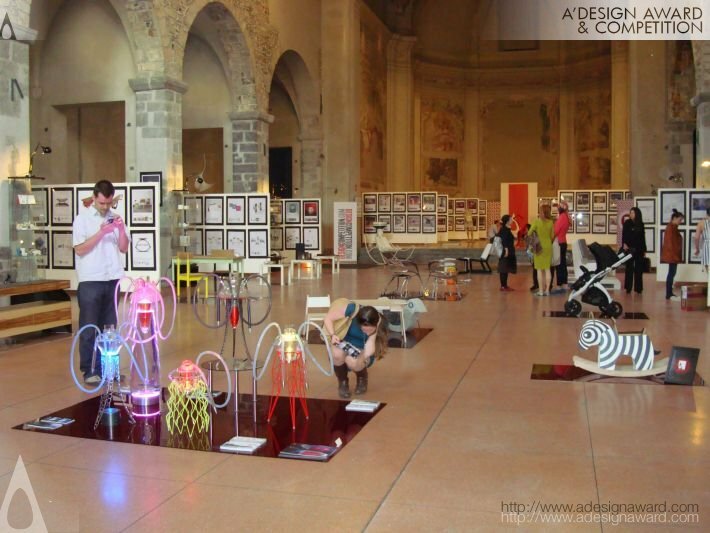 During this exhibition, there is EXPO 2015 as well as the Milan Design Week. 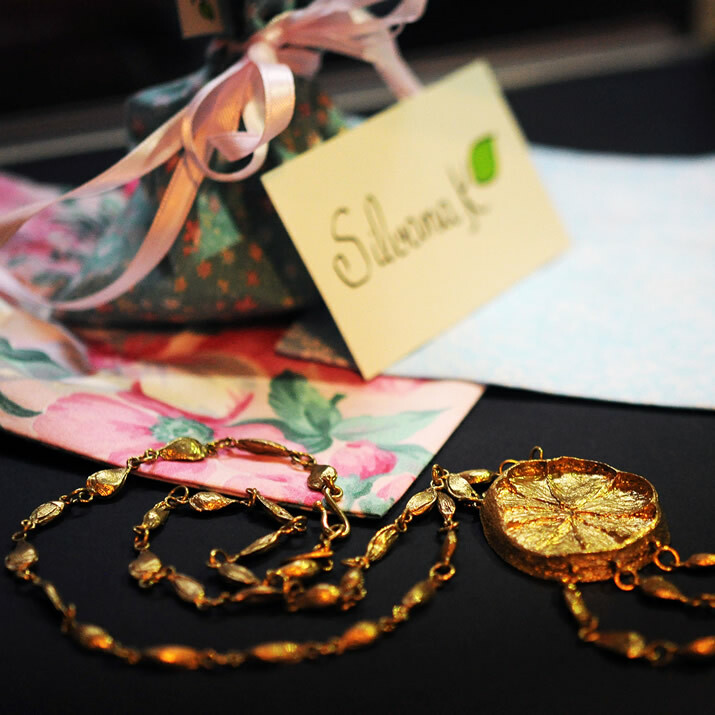 See the photos of the award exhibition here. 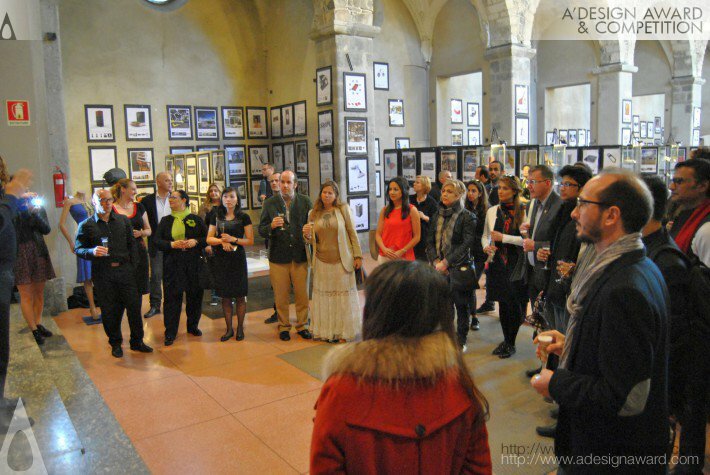 A' Winners' Exhibition at "MOOD" was held at Broletto di Como, Como, Italy. 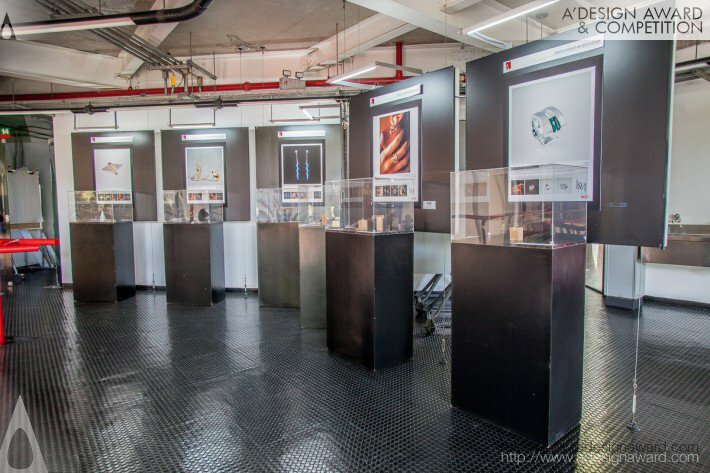 400 m2 Space is provided for winners to exhibit their works. 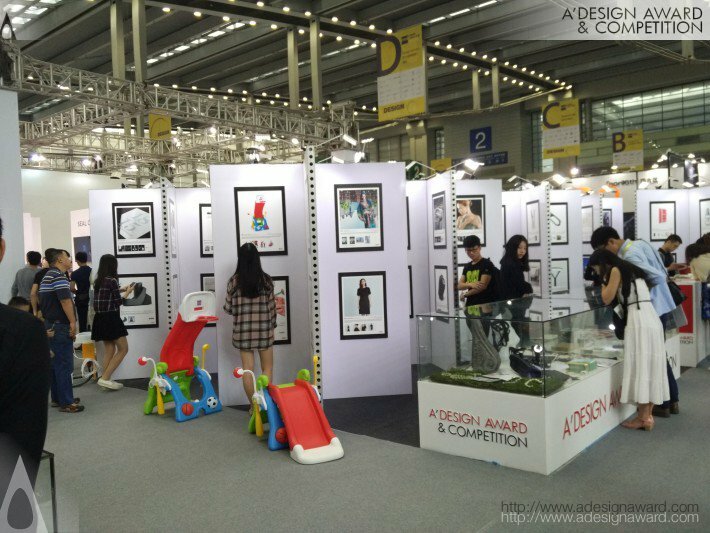 Winners who couldn't join by physical works were provided free poster printing and preparation service, therefore every designers' works got exhibited. View photos from this exhibition here. 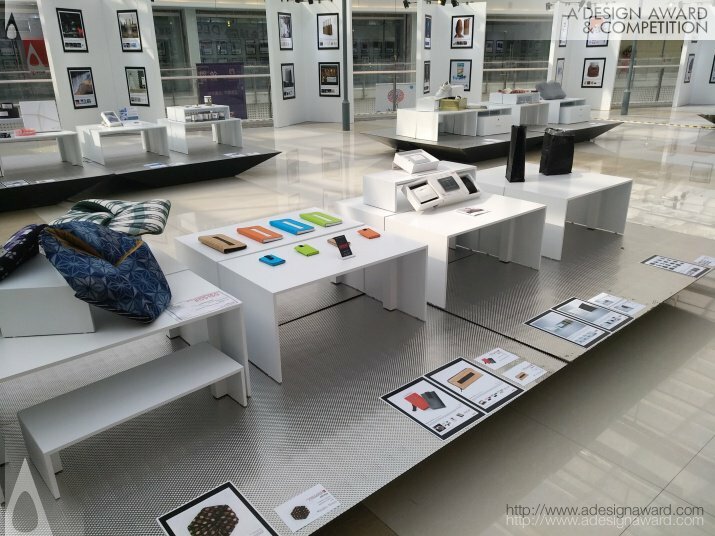 A' Winners' Exhibition at "Master of Design - Chengdu Design Week" was held at Chengdu, China. 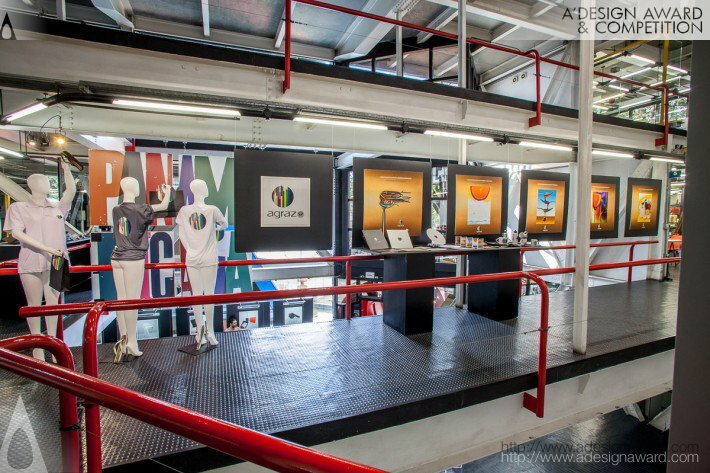 150 m2 Space was provided for winners to exhibit their works. 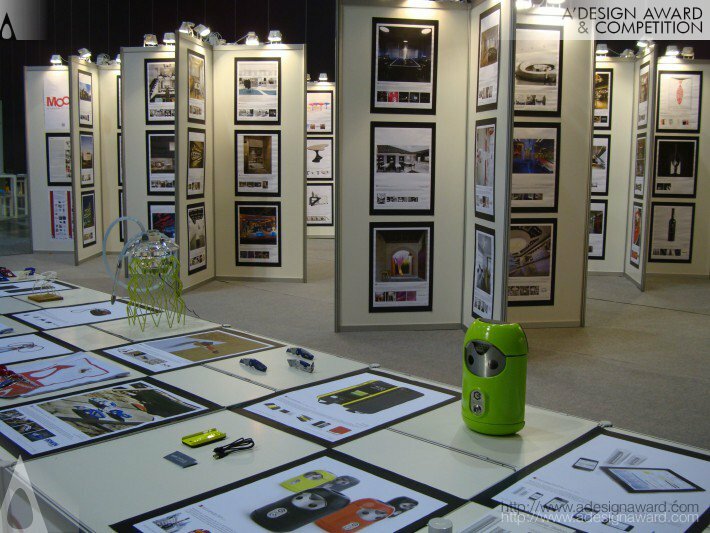 Winners who couldn't join by physical works were provided free poster printing and preparation service, therefore every designers' works got exhibited. View photos from this exhibition here. 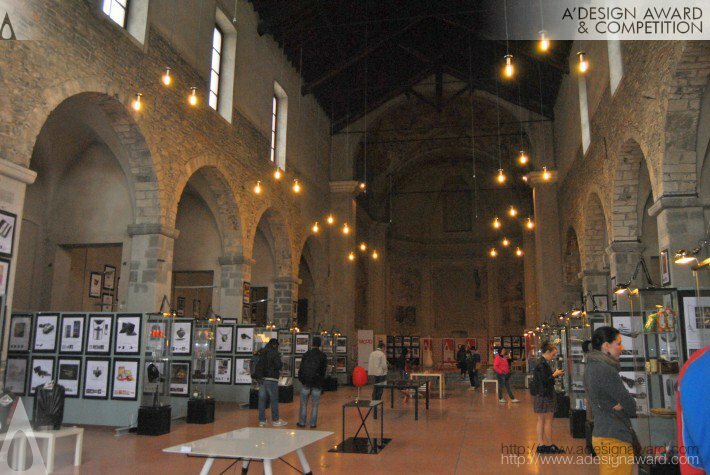 A' Winners' Exhibition at "MOOD" was held at Ex-Chiesa di San Francesco, Como, Italy. 751 m2 Space is provided for winners to exhibit their works. Winners who cannot join by physical works will be provided free poster printing and preparation service, therefore every designers' works get exhibited. View photos from this exhibition here. 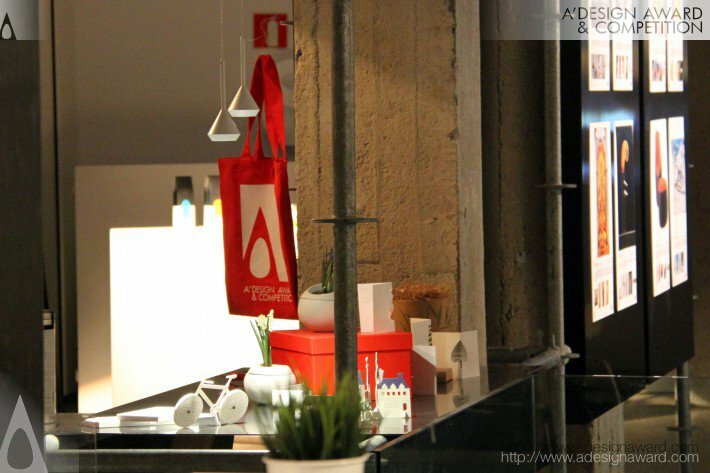 A' Winners' Exhibition at "About Design" was held at Gdansk, Poland. 112 m2 Space is provided for winners to exhibit their works. 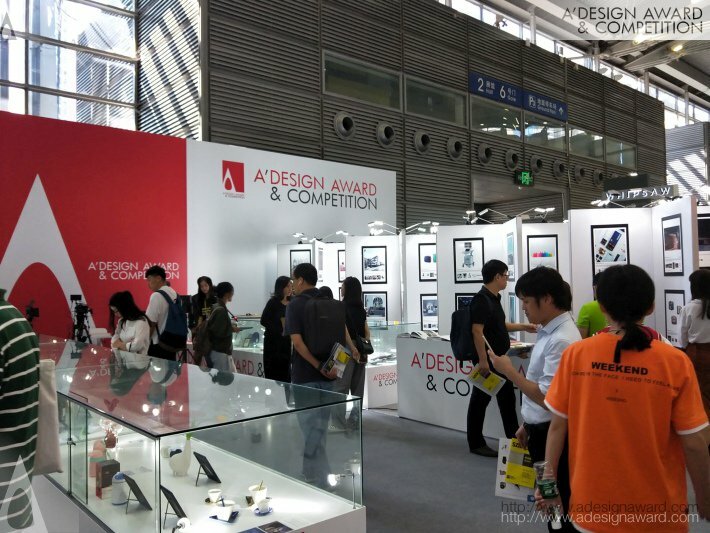 A' Design Award will carry small pieces, and provide poster preparation and printing free of charge to all winners. See this exhibiton at Gdansk here. 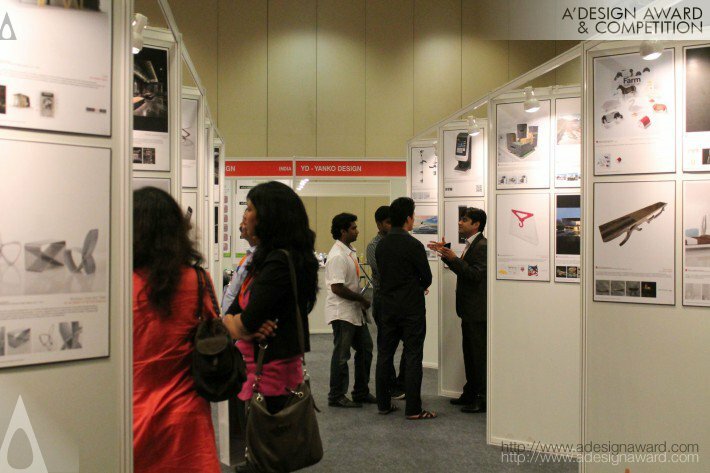 A' Winners' Exhibition at "Product Design Days", was held at Chennai, India. 112 m2 Space was provided for winners to exhibit their works. 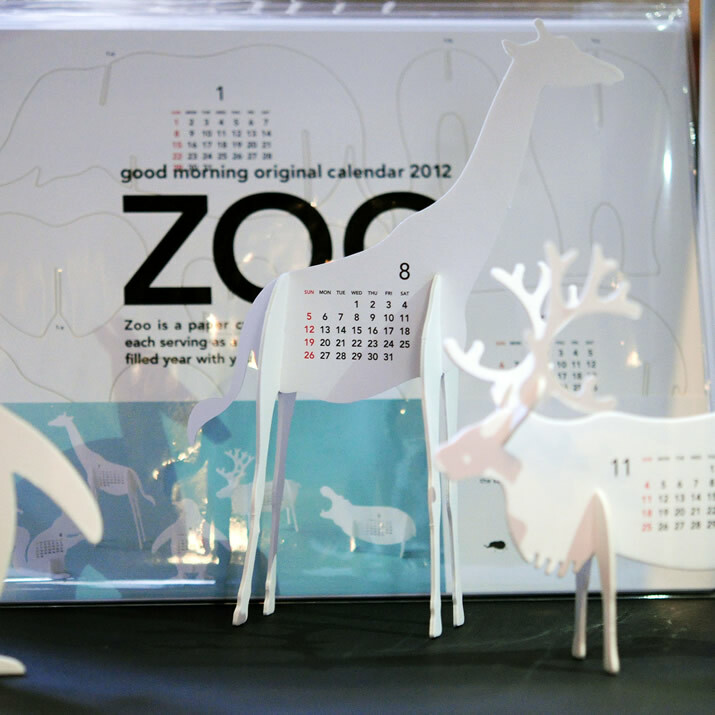 A' Design Award carried small pieces, and provided poster preparation and printing free of charge to all winners. See this exhibiton at Chennai here. 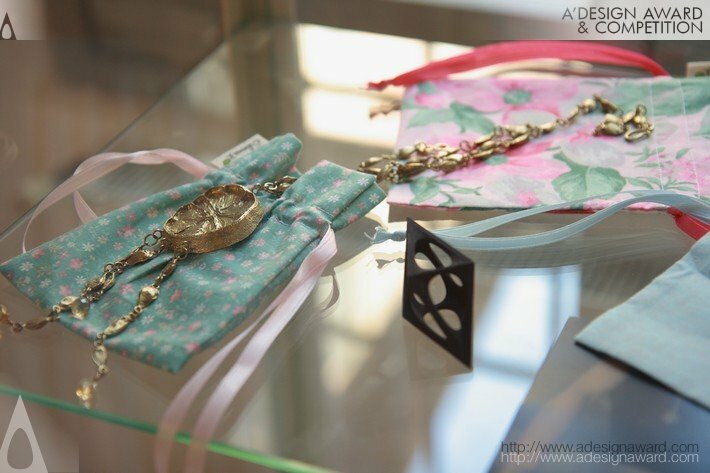 A' Winners' Exhibition at "MOOD" was held at Spazzio Natta, Como, Italy. 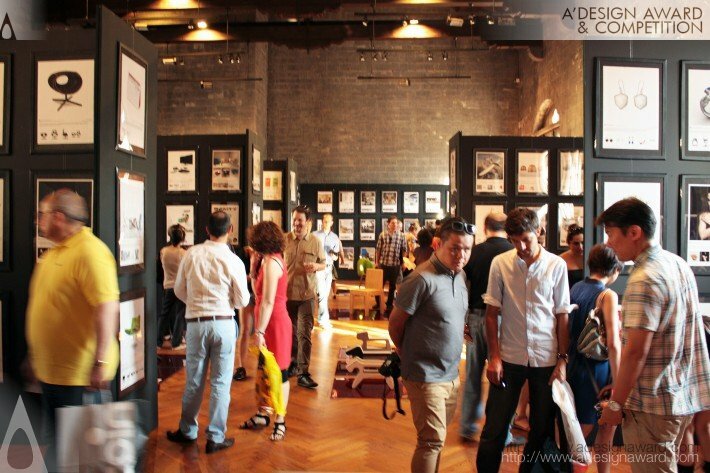 100 m2 Space is provided for winners to exhibit their works. 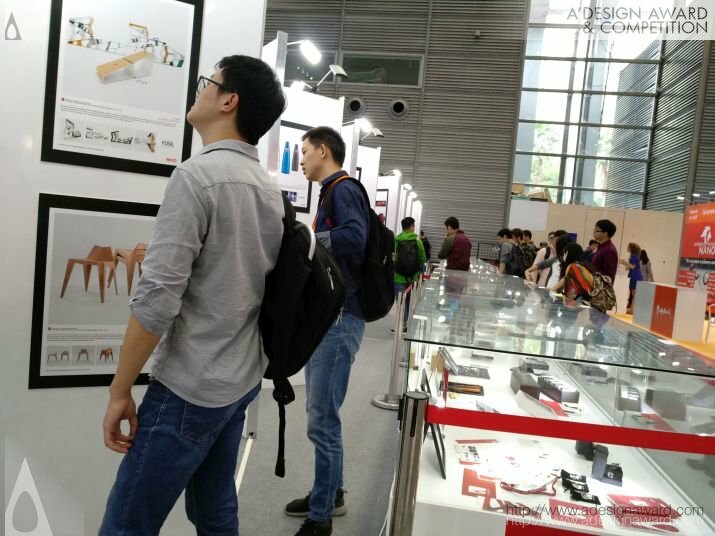 Winners who couldn't join by physical works were provided free poster printing and preparation service, therefore every designers' works got exhibited. View photos from this exhibition here. 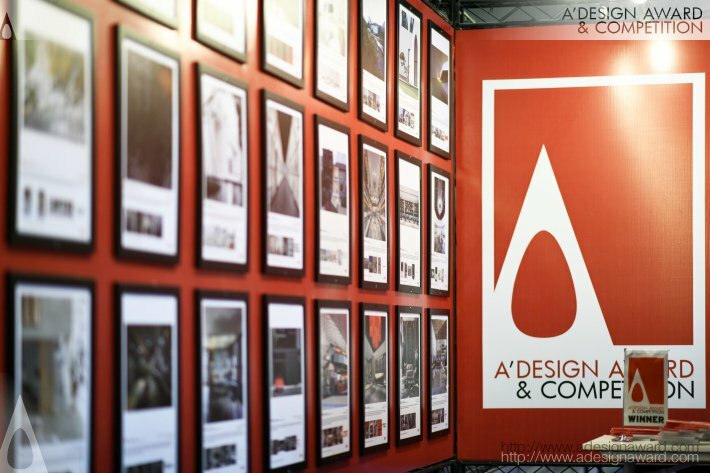 For further images from the A' Design Award Exhibitions, please click here to visit our Photo-Gallery. Alternatively visit the Exhibition Gala communications page to see past exhibition posters and invitations. Get in the Mood. 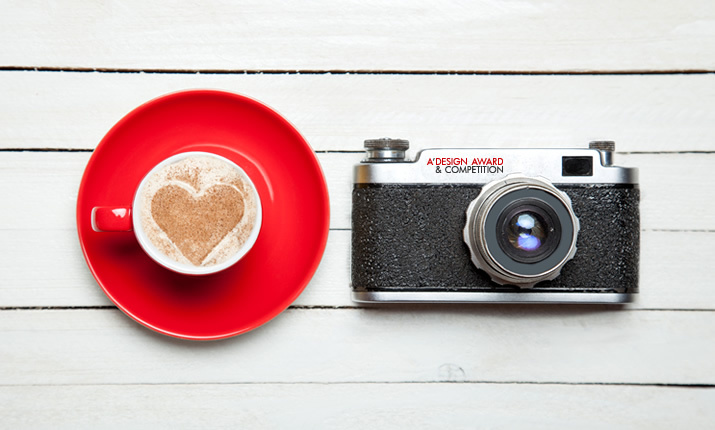 Enjoy a cup of Italian espresso and take wonderful photo shots while viewing the A’ Design Award & Competition Exhibition at Mood. 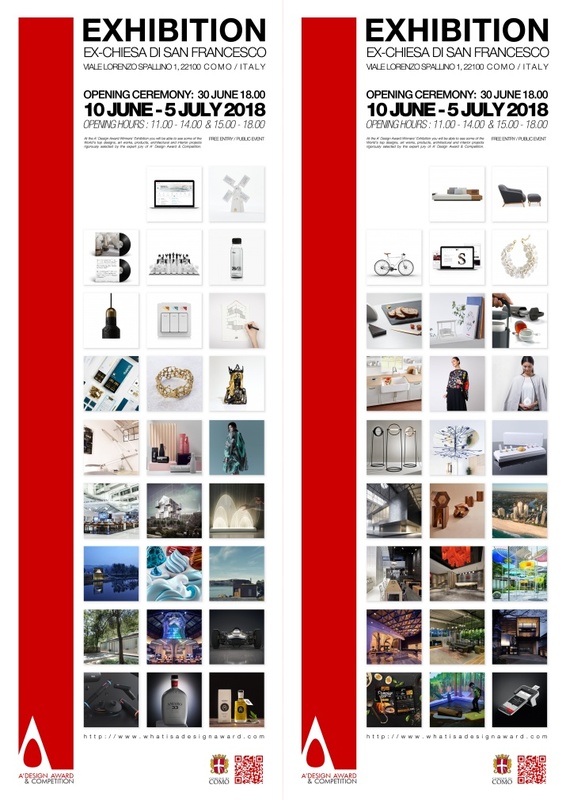 Alternatively, see past winners at DesignMag.org showcase.